One of the eight French parts of speech, prepositions are short but essential words which are placed after a verb, noun, or adjective in order to indicate a relationship between that word and the noun or pronoun that follows. Je vais à Paris. I’m going to Paris. Cette question est difficile pour moi. This question is difficult for me. 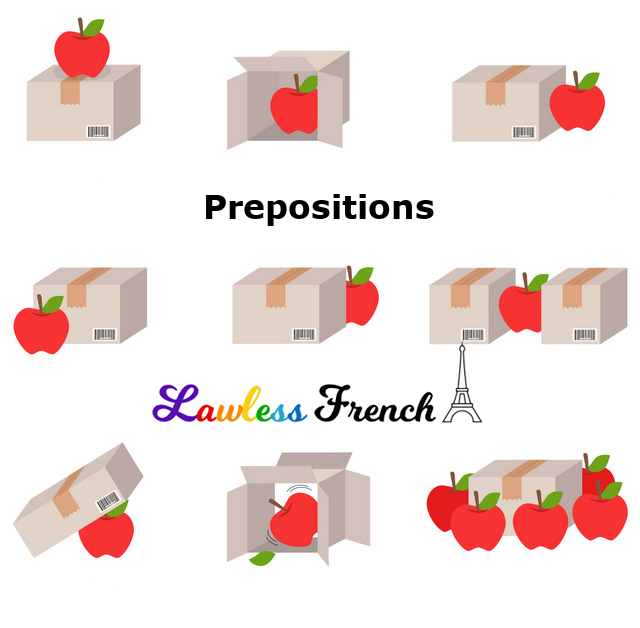 Prepositions are tricky because, while they exist in both French and English, there is no nice one-to-one correlation between them. 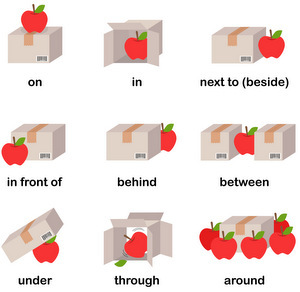 Many French prepositions have more than one English equivalent, depending on how they are used – and vice versa. In addition, a preposition is often needed in French where none is used in English – and vice versa again. This is one of those areas of grammar that you will likely continue to struggle with for a long time. But with time and practice, you’ll get the hang of it. Here are the most common French prepositions and their typical English translations. Click the links for detailed lessons. A group of words that, together, function as a preposition is called a prepositional phrase. The noun following a French preposition can sometimes be replaced by an object pronoun.